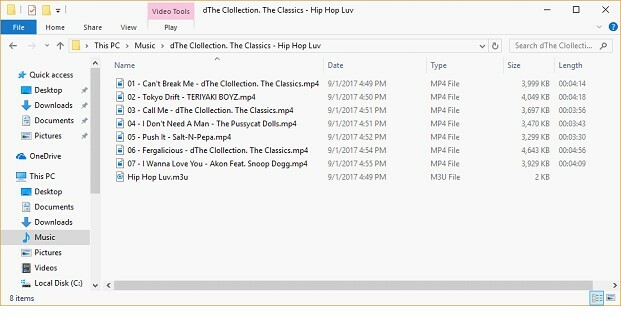 How can I rip Audio CDs with a customized filename format? When I rip Audio CDs, I sometimes want to have the option to select the naming type of the ripped file, e.g. I want to have the track number first, then the title, and finally the artist. Nero Burning ROM and Nero Express provide specialized settings for the wanted file naming customization option. So, let us show how this works. Initially you need to insert the wanted Audio CD for ripping into the optical drive of your PC. Launch Nero Burning ROM or Nero Express and from the menu select the “Save Audio Tracks to Hard Drive” option. This is how you access it in Nero Burning ROM. And here you can see the access point in Nero Express. The “Save Audio Tracks to Hard Drive” window will pop up. Here you find two tabs: “Source” and “Output”. In the source tab on the right hand side you can modify the naming of “Album” and “Album Artist”, etc. if wanted. Switch to the “Output” tab and select one filename format within the drop-down list of “File name creation mode”. Here you can customize the filename format in nine different modes. Select the entry of your choice: ” Track number – Title – Artist “. After you selected one filename format option click “Copy” to rip your Audio CD with customized file naming. You can find your ripped Audio files in your specified output directory, with your customized folder name and filenames. Below sample shows your ripped files based on the chosen filename format. Can I play back Audio CDs and Video Discs with Nero MediaHome? Open ‘Nero MediaHome’. 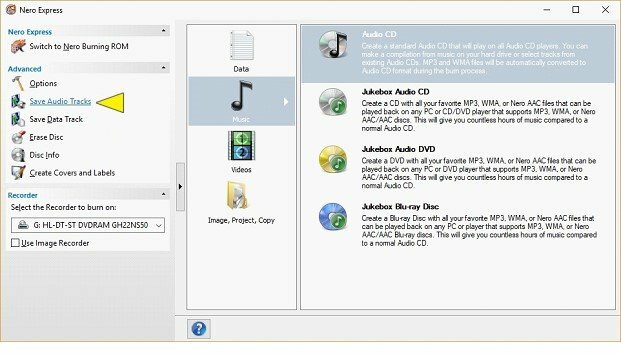 Insert an Audio CD into your PC drive and it will appear in the device view to the left. ‘Nero MediaHome’ shows available Audio-CD information and will check in the background for more CD-information like Album title, artist etc. This information will be added in the library. Playback will start right away. Use the playback functions below for selecting other tracks. 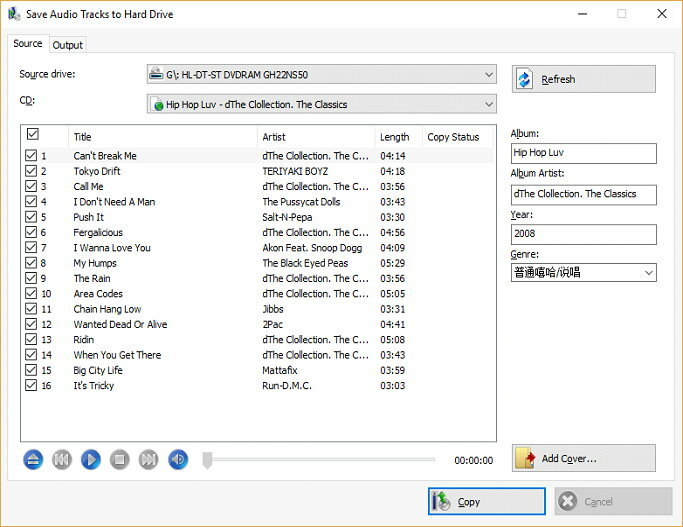 You can also easily import CD tracks to your library. Click on import CD to add tracks to Nero MediaHome library. The Import status is shown at the bottom left. You can continue browsing your media library while Audio-CD playback continues in the back. Click on the small window bottom left to get back to Music view. For playing back a DVD-Video disc insert it into the PC drive. 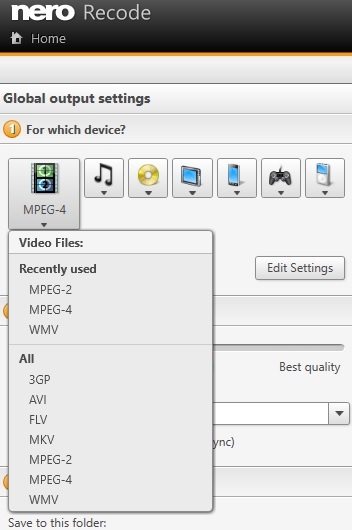 The menu structure will appear and lets you playback your disc or access individual titles. Via right click the context menu gives you options to go back to the main menu and more. What is the easiest way to rip an Audio CD to my mobile device? 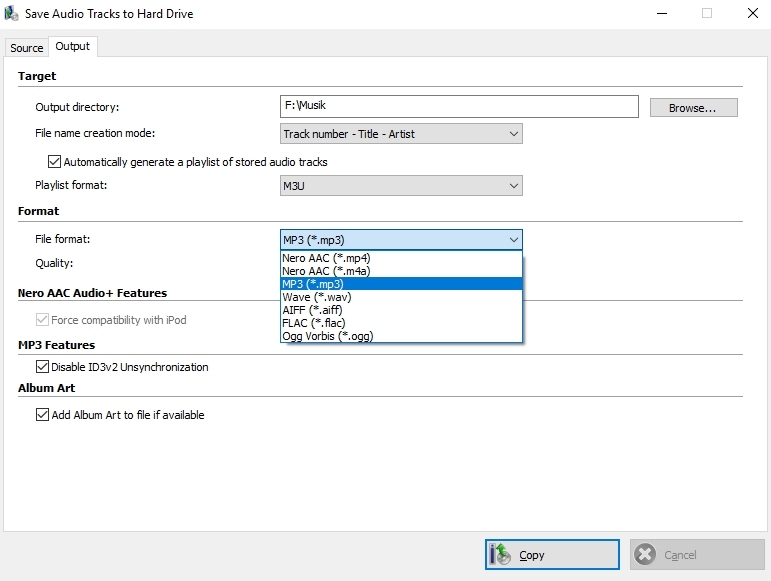 In three easy steps ‘Nero Disc to Device’ allows you to transcode your complete Audio CD or selected music files on it to single music files straight onto your Mobile device*. Select all titles or dedicated single files you want to play on your device. Then select your target device to convert your disc to. Press ‘send’. That’s it. 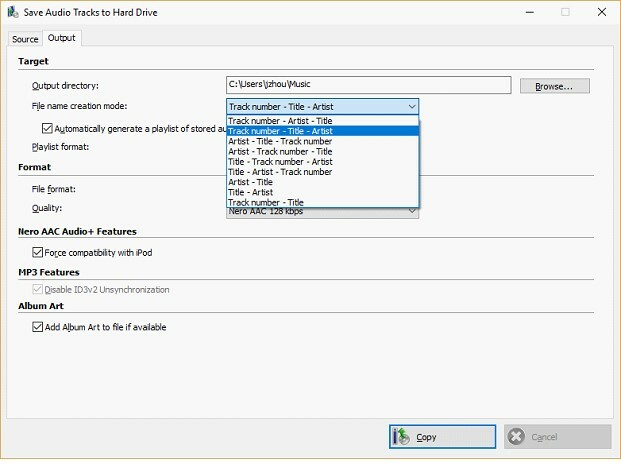 ‘Nero Disc to Device’ will provide your disc content as single music titles on your mobile device in the best quality for each device, automatically. The music titles will also include album art so that you can browse and play based on albums. 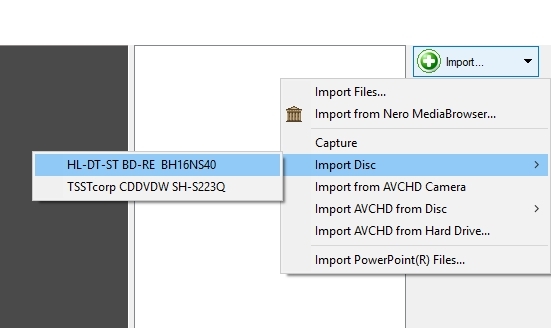 ‘Nero Disc to Device’ also supports converting your discs to PC folders and online storage services like ‘Dropbox’, ‘SkyDrive’ and ‘GoogleDrive’. *Note: works for supported mobile devices, only. Audio CD ripping to iOS mobile devices not supported. Also check out the video tutorial.